Welcome back to the "old" Loveland High School. This is the Class of 1964's Web Site. This month's food for thought! *First Loveland High School outdoor graduation. *Last graduating class from original high school. Class motto: "We've conquered the foothills, the mountains lie beyond!" Top song: House of the Rising Sun. New York City announced plans to build the World Trade Center. Lyndon B. Johnson was elected over Barry Goldwater by a tremendous margin. Bobby Kennedy was elected senator from New York. Cassius Clay changed his name to Muhammad Ali. 18th NBA Championship: Boston Celtics beat San Francisco Warriors. Ford introduced the new Mustang priced at $2,368. Martin Luther King Jr. won the Nobel Peace Prize. Studebaker-Packard Corporation made seat belts standard equipment. US report "Smoking & Health" connects smoking to lung cancer. The average income was $6,109 a year. Bread cost $.24 a loaf. An 11” black and white television cost $99.95. A Pontiac Grand Prix cost $2,895. Gasoline was 25 cents a gallon! This web site (http://LHS64.info) is in no way affiliated with Loveland High School of Loveland, Colorado, or the Loveland School System. 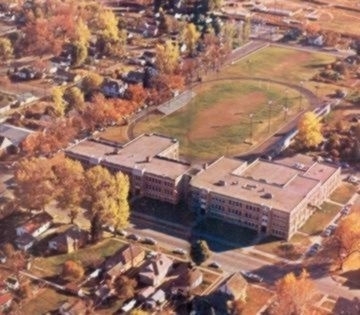 This web site (http://LHS64.info) is designed to provide communications among Loveland High School Class of 1964 alumni. This site posts information on reunion activities and alumni information of interest. We provide classmate information only to other LHS reunion organizations upon written request from those organizations. This site is a wholly owned, designed, operated and maintained entity of the Class of 64 Reunion Committee. Please click here to submit any comments, questions or requests for service.